Gal Gadot is a popular Israeli actress and model who predominately appears in the Hollywood movies. Gal Gadot is one of the demanding names of the Hollywood entertainment world. Through her spectacular acting and distinctive modeling features, this Israeli beauty has been famed as actress and fashion model since a decade. She appeared in such popular films as Fast and Furious (2009)and Batman v. Superman: Dawn of Justice (2016). 'Wonder Woman' Star Gal Gadot Puts On Batman's Mask. The question of whether Ben Affleck would be returning to his role as Batman has flopped around like a game of ping pong. But recently, it was brought some clarity when it revealed that Warner Brothers has no plans to move forward with any titles starring Affleck has The Dark Knight. Now, director Matt Reeves is deep in his work on a new Batman solo film and is expected to recast the role with a younger actor. So who exactly will don the cowl of the most famous superhero of our age? At the moment, we’re not quite sure. For playing Gisele Yashar in the Fast & Furious film series, and as Diana Prince / Wonder Woman in the Batman v Superman: Dawn of Justice (2016) and Wonder Woman (2017). Gal Gadot was born on 30th April 1985, in Rosh HayAyin, Israel. She grew up in a traditional Jewish-Israeli household with a younger sister Dana. Her father worked as an engineer and her mother was a teacher. Gadot was an athletic child and love to play basketball in her youth due to her height. Regarding her education, she did her graduation in biology. She completes her bachelor degree in law and international relations at the IDC Herzliya college. One of her main career ambition was to be a choreographer. Gal Gadot has got a perfect body figure. She has a tall height of 5 ft 10 inches and balanced weight of 59 kg. She has gorgeous black eyes and black hair. Her bra size is 34 inches, waist size 23 inches, and hip size is 34 inches. She attracts a lot of people towards her. Before beginning her career in show business, Gadot had served for a couple of years as a soldier in IDF (Israel Defense Forces). Striking at her late teens, this Israeli babe had won the beauty title as Miss Israel in 2004 and her career was instigated. Holding the Israeli beauty pageant, Gadot had visited Ecuador and had taken part for Miss Universe Pageant. However, her departure was cleared just before she could place her into top 15. While doing modeling, she posed for Maxim. Her photo was an invitation card of the Maxim party. Later, she was highlighted on Cover of New York Post. Subsequently, in 2008, she is the face of Castro, which is Israeli famed clothing Brand. Once in a survey done by Shalom Life, she was ranked in 5 among 50 most talented, intelligent, funny and gorgeous Jewish women in the world. In 2007, she was photographed by Maxim magazine for the "Women of the Israeli Army" feature. And after her successful modeling career in Israel, she got chance to play the lead role in Israeli play named Bubot which means dolls. Then she got to play the dream role which helped her to rise in fame. She was seen in Fast and Furious alongside Vin Diesel and Paul Walker who are trademarks of Fast and Furious Series. Then she got to play a guest role in Tom Cruise, Cameron Diaz starrer Knight and Day. Again she starred in The Fast and Furious in 2011. Recently, she played the role of Gisele in Fast and Furious 6 which is blockbuster hit of 2013. Her roles in Fast and Furious series made her who she is today. Her role is praised and admired all over. Apart from this, she also has played many of the films opposing many other stars. She is inspiring as she came from typical Jewish Israeli family to the stardom she has today. She was cast as Wonder Woman in the DC Universe, debuting in the 2016 film Batman v Superman: Dawn of Justice before starring in 2017 Wonder Woman. Gal Gadot is a married woman. She was married with Israeli real estate developer Yaron Versano on 28th September 2008. The couple is also blessed with two beautiful daughters Alma and Maya. The couple is living a happy and peaceful life. There is no any sign of separation between them. 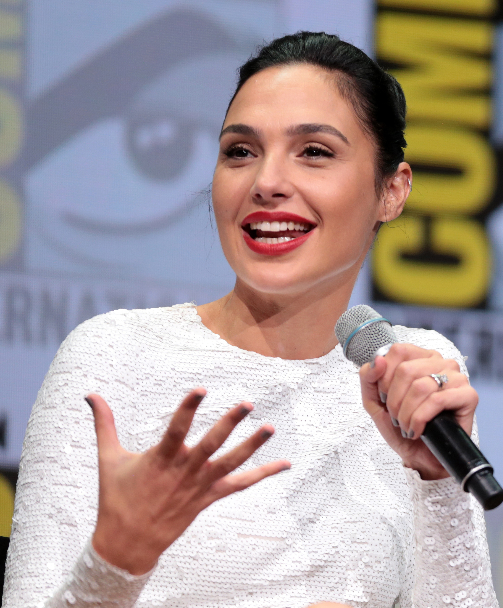 The net worth of Gal is estimated to have $8 Million. She is enjoying her life with her earnings. Her salary has not been revealed yet and will be updated soon. There is no doubt in the mind of her follower that she is earning a good amount of money from her career. Furthermore, they both have purchased a luxury hotel in Tel Aviv. However, in 2015, they sold it to Roman Abramovic for $26 million. She has a 2006 black Ducati Monster-S2R motorcycle as she likes riding bikes. She grew up playing tennis, basketball, dodgeball, and volleyball teams. She was the winner of beauty pageant Miss Israel 2004, but couldn’t win Miss Universe 2004.